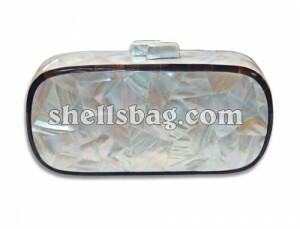 Fashion evening shell handbag in oval shape 20.5cmx9.5cmx4.5cm made of kabebe shell in mosaic inlay design w/ blacktab shell at the side. Perfect in any occasion such as evening party, wedding, debut, birthday, dinner date, party club and daily fashion needs. 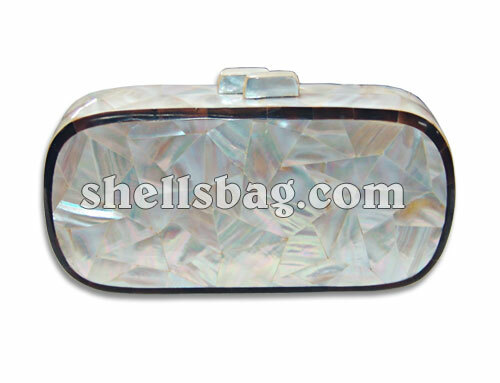 Available also in different shells, design and colors from the finest and handmade expert makers in all shells bag and shell fashion handbags manufacturer in the Philippines.